Sigiriya/ Dambulla – World Heritage scared city. DAY – 01	Meet pick from Airport and visit Rock Temple and Explore Wild park. Program Meet and greed by your chauffeur guide/ guide/ representative, and drive to Dambulla, visit Rock Temple and by afternoon explore Minneriya or Khudulla National park. Program Early breakfast and climb UNESCO protected Sigiriya Fortress Rock and Ritigala. Proceed to Kandy, en route stops at Spice & Herbal garden in Matale. Reach Kandy take a city tour including a drive up to Kandy city view point, Gem museum and lapidary, Kandy city center etc. Evening Cultural show at 1730 at the Kandyan Cultural Center and evening visit to Temple of the Tooth Relic. Notes/ Tips Please ensure to cover knee and shoulders when visiting Temples. Program Early breakfast and drive to World’s largest Elephant Orphanage in Pinnawela, observe more than 100 Elephants are being fed, whole herd marching towards the river and bathing. Proceed to Peradeniya, visit Royal Botanical Garden in Peradeniya and drive to Nuwara Eliya. En route stops at Hanuman Temple, Tea Field, Tea factory and Ramboda falls. Reach Nuwara Eliya get settled at hotel, refresh and take a visit to Seetha Amman Temple, Gayathree Pdeedam, walk around the little town and spend the evening around Gregory's lake. Program Early morning take a refreshing walk up to Little Adams Peak view point and proceed to Mirissa via the southern coast. Stops at Hambantota fishing Harbor and Dondara light house in Matara. Get settled for sunset on the beach. Program By morning 0600 Dolphin & Whale watching Cruise, and by noon proceed to Colombo through the southern coast. Stops at Dutch Fort in Galle, Turtle Hatchery in Kosgoda, and take a boat cruise on the Island’s largest wetland Maaduganga, option for fish foot therapy. 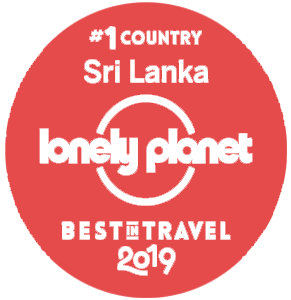 Program Breakfast and City tour in Colombo: City center Pettah, Red Mosque, Colonial capital Fort, Old Parliament, Galle Face Green, Gangarama Temple, Town Hall, Independence Square/ Arcade and shopping. As per flight schedule transfer to Airport.